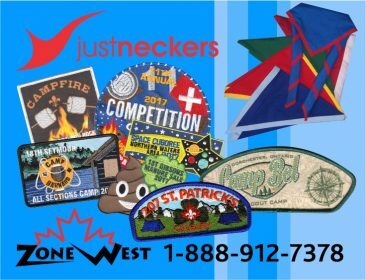 On The Canadian Path, Personal Achievement badges serve the same purpose that Activity and Challenge badges served in the past (for Cubs and Scouts, respectively). These badges present an opportunity for youth to explore their own interests, generally outside of weekly meetings. The transition to Personal Achievement badges involves a few changes—not least of which is their new name! In many ways, however, we’re carrying on long-standing traditions. For example, the iconic triangular shape for Cub Scouts and the circular shape for Scouts will remain the same. Altogether, the Cub and Scout Personal Achievement badges look very much the same as they do right now, though new artwork has been introduced to go along with the badges’ new names. The Personal Achievement badges are achieved individually by youth who choose to make these badges part of their personal Scouting journey. The Personal Achievement badges follow the Plan-Do-Review process. There are no set requirements for the badges. Instead, each badge has an objective supported by a few guidelines. A Personal Achievement badge may be achieved more than once, as long as a youth fulfills a new set of personal goals. The links are broken for the resources. Please update. Thank you.